How can I include a folder into Backup that is located outside of my WordPress installation? Q. 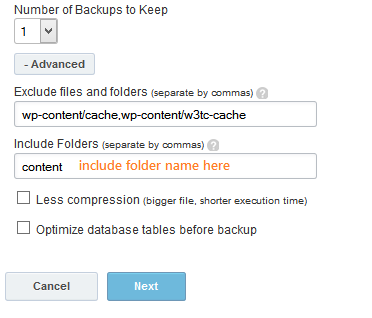 How can I include a folder into Backup that is located outside of my WordPress installation? 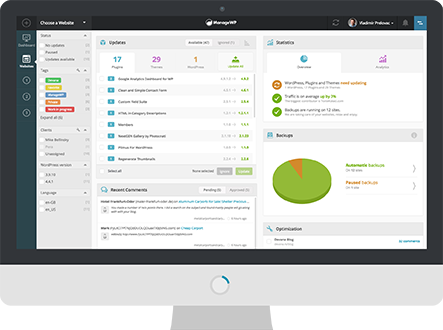 Backups performed by ManageWP can include all files and folders located inside the WordPress folder of your website. This process has to be done only once, and after it is done you can simply include the desired folder in the Backup wizard. * The user referred in this section is the user that owns the public_html folder on the site server. In case you do not have access to SSH of your site, you can contact your hosting provider and ask them to provide you with the required username. You would be presented with a list of folders on your site server, and 2 columns stating the usernames.